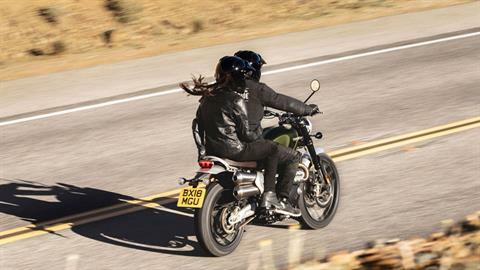 Built to set a brand new benchmark, the Scrambler 1200 XC combines exceptional modern classic road-going performance, capability and confidence with inspiring agile handling and beautiful 21st century custom scrambler looks. A genuine first in dual-purpose motorcycling, it delivers stunning modern capability for the road alongside everything you need to approach genuine off-road adventure riding with confidence and style. Powered by the latest generation high power 1200cc Bonneville twin engine, with a unique ‘scrambler tune’, it’s an all-new motorcycle that’s fully equipped with a breath-taking fusion of the highest specification engineering and capability that delivers a responsive and inspiring ride. 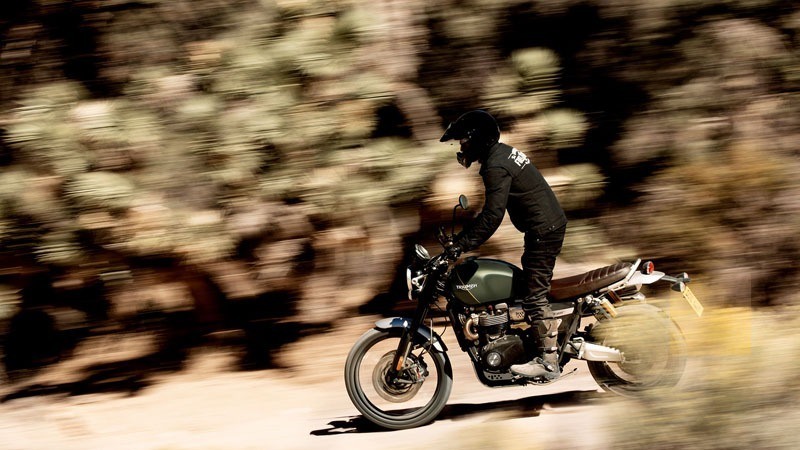 And to complement its class-leading performance comes class-leading state-of-the-art technology and crafted scrambler ergonomics that provide a commanding road and off-road riding position, and superior rider comfort. In addition, while everything about the XC is beautifully engineered, detailed and designed to impress, if you want to enhance your ride even further, there are over 80 new Scrambler 1200 custom accessories and two inspiration kits to personalize your ride. FIVE RIDING MODES: Five riding modes – Road, Rain, Sport, Off-Road, and Rider-Configurable – are available on the XC. The riding modes adjust throttle response, ABS, and traction control settings to suit riding conditions. THE SCRAMBLER 1200 XC: The new Scrambler 1200 XC is not only a phenomenal blend of modern custom style and authentic iconic Triumph scrambler DNA but also the first of a whole new category thanks to its unique high specification and genuine all-road capability. And, to complement these new innovations, an incredible array of new motorcycle technology has been included as an integral part of your ride. 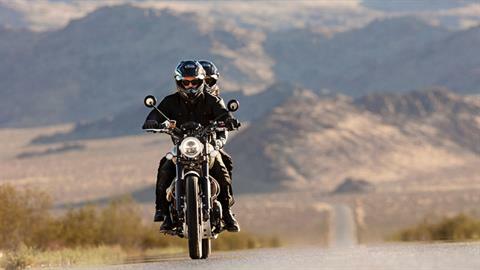 ‘FOR THE RIDE’ TECHNOLOGY: Switchable ABS and traction control enhance rider interaction. Five riding modes – Road, Off-Road, Rain, Sport, and Rider-Configurable – can each be enabled via the XC’s backlit switchcubes to suit the conditions and your riding preference, whatever terrain you’re considering. The torque-assist clutch reduces lever effort (a huge benefit, particularly on longer journeys) to optimise rider comfort. ALL-PURPOSE TECHNOLOGY: The beautifully integrated new 2nd generation full-color TFT instrument display has two distinctive personalisable design themes that ensure readability in all conditions. There is an all-LED Scrambler 1200 lighting set-up including front 5-inch headlight (incorporating Daytime Running Lights where market legislation allows), tail-light with attractive diffused opacity detailing, and market-appropriate indicators. 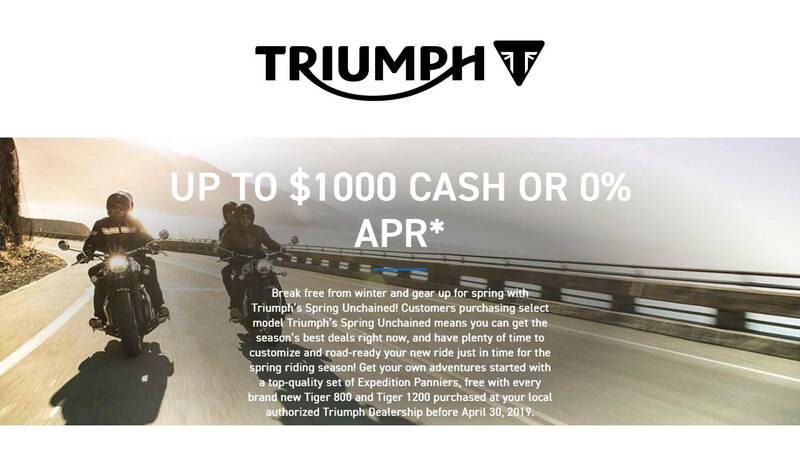 Triumph’s keyless ignition system, cruise control, and USB charging socket are all fitted as standard. LONG TRAVEL REAR SUSPENSION: To maximize your scrambling options, the Öhlins twin spring rear suspension unit is fully adjustable for preload, compression and rebound, and offers 200mm travel. LONG TRAVEL USD FORKS: The XC’s high specification upside down Showa cartridge front forks are fully adjustable for preload, compression and rebound to maximize ride comfort, and have 200mm of travel. LONG TRAVEL ALUMINUM SWINGARM: The XC’s shot blasted and anodized aluminum swingarm has a total length of 547mm for excellent ground clearance and off-road capability. ADVANCED RIDE-ENHANCING BENEFITS: The Scrambler 1200 has ride-enhancing capabilities including torque-assist clutch, ride-by-wire, cruise control, liquid cooling, keyless ignition, heated grips, excellent fuel efficiency and USB charging socket, making it easier to extend your ride for longer. ADJUSTABLE HANDLEBAR POSITION: The Scrambler XC’s handlebar position can be adjusted with reversible handlebar risers to better suit rider preference and riding style. 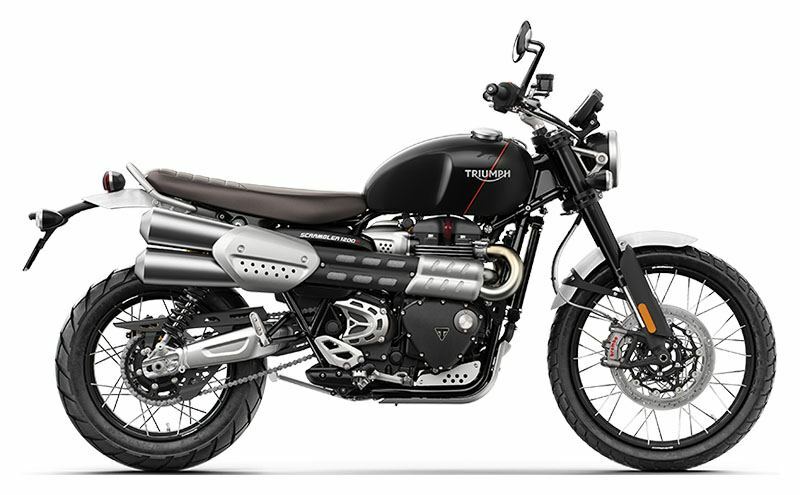 TOP-OF-THE-RANGE FINISHES & DETAILING: The XC has beautiful custom detailing with premium materials and finish, including; aluminum number board, minimal aluminum mudguards, sculpted side panels with brushed aluminum Scrambler 1200 badge and signature Bonneville fuel tank with sculpted knee and fork cut-outs.